The Kerrie Show: Who Is Kerrie McLoughlin? Kerrie McLoughlin is the fun-loving homeschooling mama of 5 amazing kids and wife to Aron McLoughlin, her best friend since she met him in1995. She grew up loving writing and has written for 171 regional parenting magazines since 2009. A Kansas City native, she is also the author/compiler of the ebook How to Get Published (and Paid!) 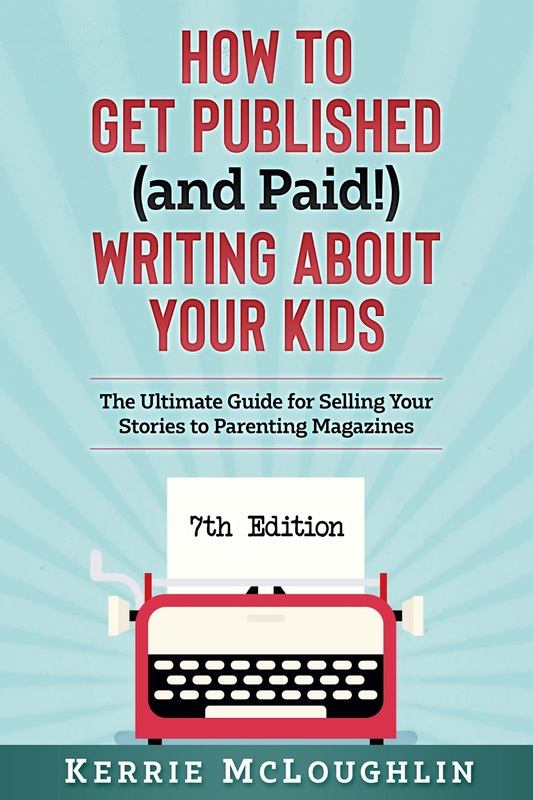 Writing About Your Kids: The Ultimate Guide for Selling Your Stories to Parenting Magazines, available here for only $9.99 in the 7th edition! 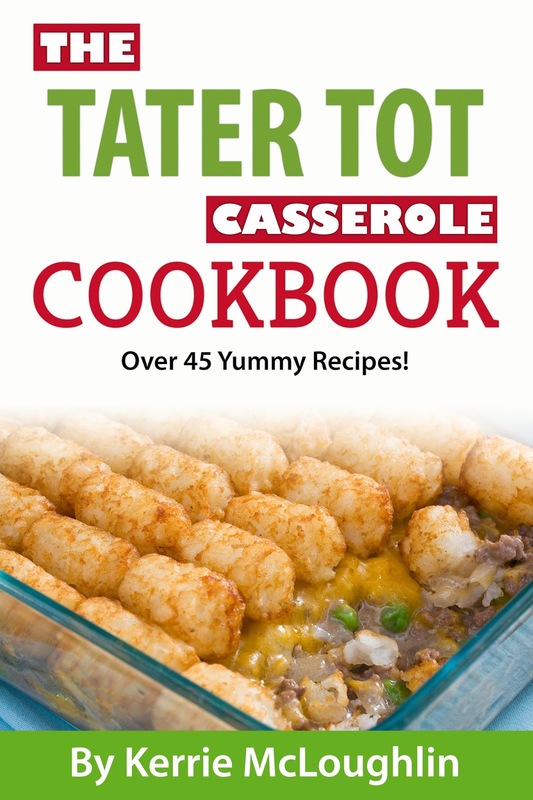 You should also check out her yummalicious The Tater Tot Casserole Cookbook! Both books are always free on Kindle Unlimited. She loves taking on proofreading assignments (ebooks, blogs, term papers, novels and more), as she missed being the Error Police when she was a working girl in public relations and other places pre-kids. 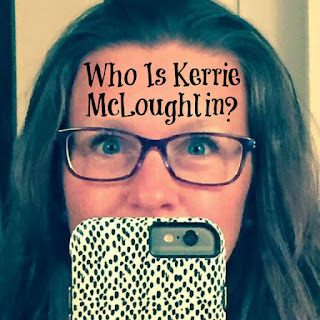 If you can't get enough Kerrie, her humorous life blog is at TheKerrieShow.com, and she spends quite a bit of time over at The Published Parent writing about the life of a work-at-home writer mom. She also blogs at Laid-back Homeschool, Homeschooling Mommybot, and Kerrie the Kitchen Queen. 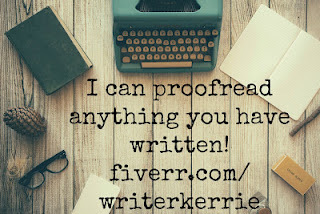 You can reach Kerrie via email at mommykerrie at yahoo dot com. Below is a Q&A you can use on your own site to help promote "Get Published (and Paid!) Writing About Your Kids: The Ultimate Guide for Selling Your Stories to Parenting Magazines." Since late in 2009, when I was pregnant with my 5th child. I've always loved writing, and once I hit a certain point in being a mother I realized I had much to say and much advice to give! Also, it's the perfect thing for an attachment parenting mama to do ... nursing while typing is no problem! Plus, I now homeschool, so I can be with my kids and write. Part-time probably until all my kids are out of the house, but lately I am able to find more time while they sleep late in the mornings before we start our homeschool day! Also I write more in the summertime. The typical social media outlets: Twitter, Facebook, Google+, LinkedIn, Pinterest, Instagram, various blogs. Too many favorites! It's portable and I can do it on my own time and do as much or as little as I want or am able to do . I love being able to homeschool the kids while being with my traveling-for-work husband sometimes. How much money can you make? So I put that monthly on my blog, The Published Parent. I'm very honest. I started getting really serious in April of 2013, then made about $1,300 in May. Check it out. I also list my sources of income with links so you can do what I do if you so desire! Some months I make over $2,000, but that's usually in the summer when the kids are not homeschooling. That you can't make good money as a writer. If you have many balls in the air, and you are organized, you can do it! Keep at it and don't get discouraged and don't worry about rejection ... keep moving forward. If you have many queries and writing opportunities and ebooks in the works and are writing every day, you will get better and you will sell work.And please don't languish in the content mills! You are worth more money than that! 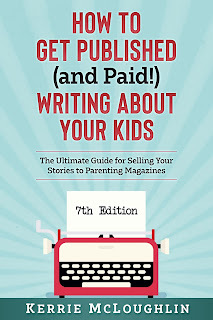 If you want to write for regional parenting magazines for clips and money then work your way up to nationals like Parents, Working Mother and the like, get my book! Just get your stuff out there. There are so many different ways to freelance! For instance, my regional parenting work led to writing a marketing manual for an editor who had another business. It also led to Contently.com, where I wrote great-paying blog posts for companies for a short time, and Scripted.com.